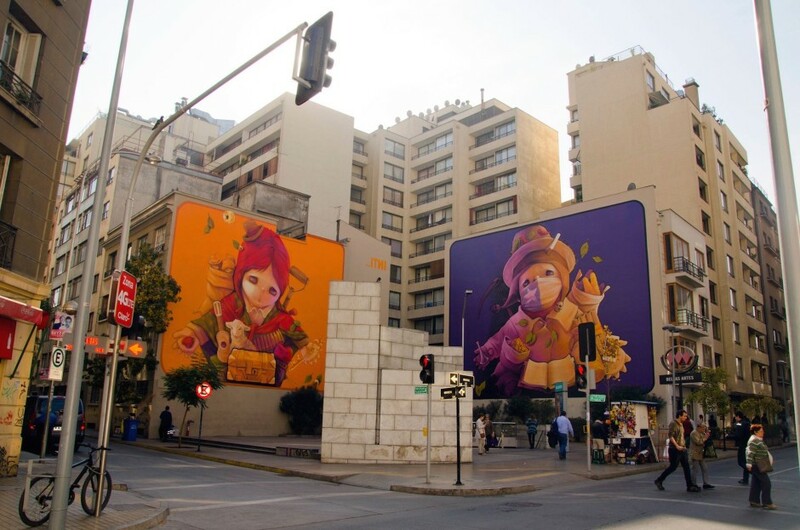 One of the big names in Latin Americas street art scene, INTI comes from Chile and his murals are now world famous. He integrates local elements into surreal characters seamlessly, creating a very personal style. Some claim that, because of the quality of his work, INTI should transcend the street artist label and be considered a modern muralist.